Christie Bhageloe, Esq. 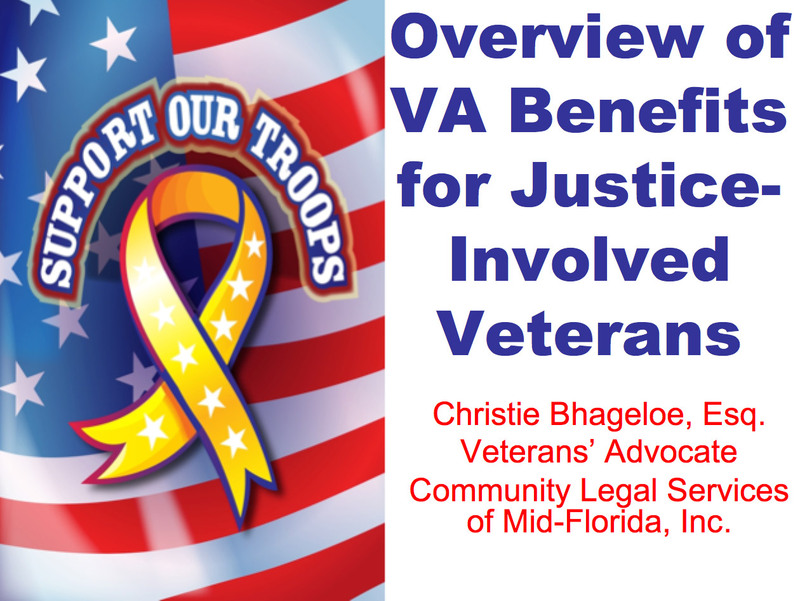 leads the Veterans Advocacy Project in all 12 counties that Community Legal Services of Mid-Florida (CLSMF) serves. 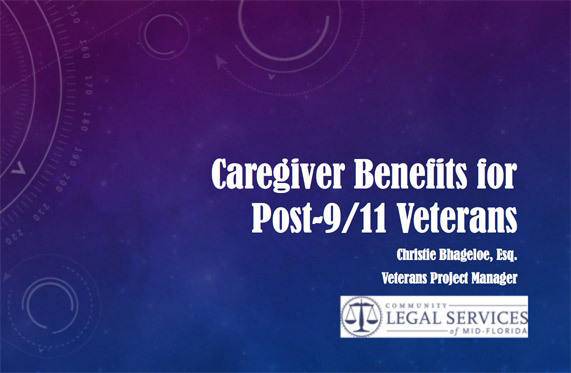 The Veterans Project assists low-income veterans by providing legal advice, counsel, education, and representation in VA-related matters such as service-connected disability claims, appeals, overpayments, rating reductions, and discharge upgradess. 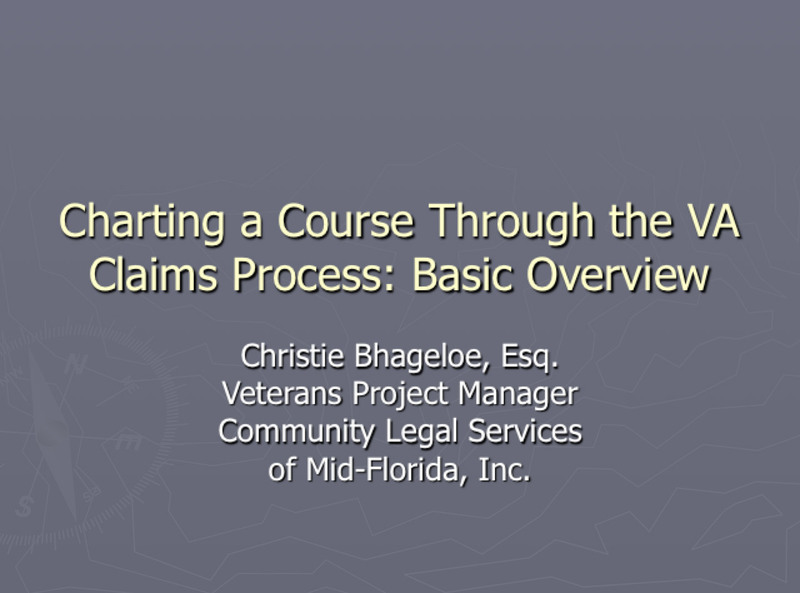 Ms. Bhageloe is accredited to practice before the VA and the federal Court of Appeals for Veterans Claims (CAVC). She participates in Stand Downs for homeless veterans and is an active member of various veteran groups. The Veterans Project partners with 5 Supportive Service for Veterans and Families (SSVF) agencies to provide legal services to homeless or at risk veterans. The most recent community collaboration is a partnership with the 9th Circuit Public Defender’s Office, which focuses on justice involved veterans. These partnerships have brought in $190,000 in funding for CLSMF over the past year. Do you have a veterans related question? 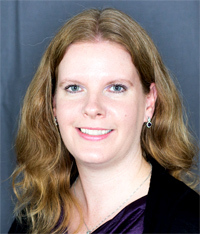 Our Salute Veterans expert Christie Bhageloe Esq. will answer your question on our blog or FAQ’s.